Pool World, Inc., which has been in business at 235 Sunset Avenue, next to Home Depot, in Coeur d'Alene since April of 2004, is moving. The company has purchased raw land and is starting construction on a new 13,500 square foot multi-tenant retail center located at 745 West Appleway Avenue. The new building is scheduled to be completed by March 31, 2017. Pool World will utilize about 7,000 square feet of the building for its retail store, leaving about 6,400 square feet available for lease. The west wall of the building will have a drive thru. The website is poolworld.biz. Starting today, Monday, June 27, the National Congress of American Indians (NCAI) kicks off its 2016 Mid Year Conference & Tradeshow at the Spokane Convention Center. The tradeshow and conference runs through June 30, and the agenda circles around the theme 'Changing Climates, Inspiring Hope'. This year's theme focuses on a holistic approach to key issues facing American Indian and Alaska Native communities. The four day event features leading experts in tribal legislation, climate change, tax, health, education, and more, with speakers from the White House, Government Agencies, and Congress. Department of the Interior (DOI) Secretary Sally Jewell will deliver an address to the tribal leaders. DOI plays a significant role in managing 60 million acres of land on reservations across the country, and in fulfilling trust and treaty responsibilities to tribes. For more information, visit NCAI.org. 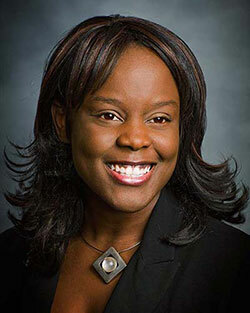 Avista Corp. has named Latisha Hill as senior vice president for Avista Development. Hill joined Avista in 2005 and previously served as the manager of consulting and analytics in the human resources department. 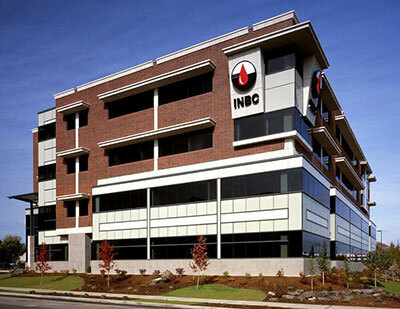 INBC merges with Blood Systems Inc.
Inland Northwest Blood Center, which supplies blood to 35 hospitals and other medical facilities in Eastern Washington and North Idaho, has announced a merger with Blood Systems Inc. of Scottsdale, Arizona. INBC began as the Spokane Community Blood Bank in 1945. Blood Systems is one of the nation's oldest and largest nonprofit blood delivery systems. Riverfront Park is having a construction kickoff to celebrate groundbreaking for redevelopment on Friday, July 8 from 3 to 8pm. This is not your typical groundbreaking ceremony, it's a construction kickoff celebration for the whole community. After the classic golden shovel ceremony, attendees will enjoy a 30-ton sandbox, life-sized sidewalk games, a field of ping pong tables painted by local artists and a giant interactive paint-by-numbers of the park. This free event includes live music, a beer garden sponsored by No-Li and delicacies from the best of Spokane's food trucks. Brainfreeze creamery will be dishing out $1 scoops for the first 300 customers and Mobius Children's Museum and Science Center will be on hand with fun activities for the whole family. Guests are invited to get an in-depth look at the full scope of the redevelopment while standing in the footprint of the new Recreational Rink Ice Ribbon and SkyRide Facility. This is the first major facelift the park has seen since it was transformed from a railyard in preparation for the Expo '74 World's Fair. The celebration will be at the Gondola Meadow of Riverfront Park, near the Bloomsday metal runners on Spokane Falls Blvd. and Post Street. More event details on Facebook at Spokane Riverfront Park. Redevelopment details at www.RiverfrontParkNow.com. Hecla Mining Co. has named Lindsay Hall senior vice president and chief financial officer. He was previously the executive vice president and chief financial officer of Goldcorp Inc. and has more than 37 years of experience in his field. Dr. David Bartels, a local Cancer Specialist, will be joining Summit Cancer Center in Post Falls effective August 1, leaving his current position as a medical oncologist with Kootenai Health in Coeur d'Alene. He is now available for new patients as of August 1 and will accept all patients and medical insurances. Dr. Bartels is joining Summit Cancer Centers' experienced team of North Idaho cancer specialists, including Dr. Brian Samuels, Dr. Naseer Ahmad, and Dr. Frank Lamm. In association with the Seattle Cancer Care Alliance, North Idaho patients will now have improved access to advanced treatments by participating in clinical trials of new medications and therapies. Dr. Bartels is Board Certified in Internal Medicine and Medical Oncology, with more than eight years of diverse clinical training, with a focus in Hematology/Oncology. He completed his Medical Oncology fellowship at the University of Iowa Hospitals and Clinics and interned at Iowa Methodist Medical Center. He completed his residency at the University of Iowa College of Medicine and graduated with honors from Des Moines University medical school in 2008. Dr. Bartels moved to Coeur d'Alene in 2014. A grand opening of the new location for Mobius Science Center is planned for this Friday, July 1 from 10am-5pm. Along with the grand opening, there will be a special Free Community Day, sponsored by Washington Trust Bank, providing the first 1,000 visitors with free general admission to the science center (excludes tickets to special exhibit, Bodies Human). The new location is 331 N Post Street. Bodies Human, a new exhibit that also opens on July 1, is a unique and fascinating display of real human specimens, including 6 whole bodies, over 100 individual organs, and transparent body slices that have been preserved through plastination, a technique that replaces bodily fluids with reactive plastics. It's an extraordinary opportunity to see our own physiology and understand what it means to be human. Tickets for the special exhibit, Bodies Human, will be $7 on July 1. This exhibit is recommended for ages 10 and up, and children must be accompanied by a chaperone 16 years or older. For more information, visit mobiusspokane.org. Most business owners have only a vague idea of what their business is really worth. Spokane SCORE Chapter 180 presents a one-time only workshop on 'What You Must Know About Business Valuation.' This workshop will identify the key drivers of business value. Attendees will learn the business valuation methods accepted by The American Society of Appraisers. The information provided in this workshop will help business owners to enhance the value of their business, make informed decisions on expansion, financing, sale or acquisition opportunities, gain insight into value drivers beyond financial statements, and understand where their business fits into the industry landscape. This workshop will be held Wednesday, June 29 from 8:30am to 12 noon at the SBA Training Room, 801 West Riverside Ave., Suite 444. For cost and registration information, visit www.scorespokane.org. Numerica Credit Union has hired Troy Clute as vice president of the Home Loan Center. Clute was most recently employed by Mountain West Bank where he was a real estate manager. With over 19 years of experience, Troy will oversee lending mortgage sales and operations in Spokane, North Idaho, Wenatchee Valley and the Tri-Cities. Thanks to Baker Construction and Development for sponsoring the business thought of the week. "First we make our attitudes. Then our attitudes make us." For more information about advertising on this newsletter, which is read by over 6,000 business people each week, please call 509-838-4080 or e-mail us at info@spokanehowsbusiness.com. For creative, affordable, effective marketing communications that can make a difference in your business, contact The Clark Company, 509-838-4080. Be sure to catch "Hows Business?" Friday mornings at 8:50 on KXLY News Radio 920. If you'd like to register to receive How's Business? weekly in your e-mail, click here. If you know someone who'd enjoy receiving How's Business? Click here to send it to them.